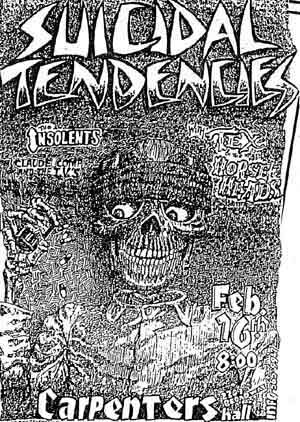 This flyer is from San Diego 1985. I was at this show. Carpenter’s Hall was a venue in San Diego and Tim Maze was a San Diego promoter. Tex and the Horseheads did not play and they were replaced by Ill Repute. I’m not sure if Claude Coma and the IV’s made it either.